This delicious sweet potato side dish recipe post is sponsored by Family Dollar. The holidays are right around the corner, which often means big family meals and celebrations. 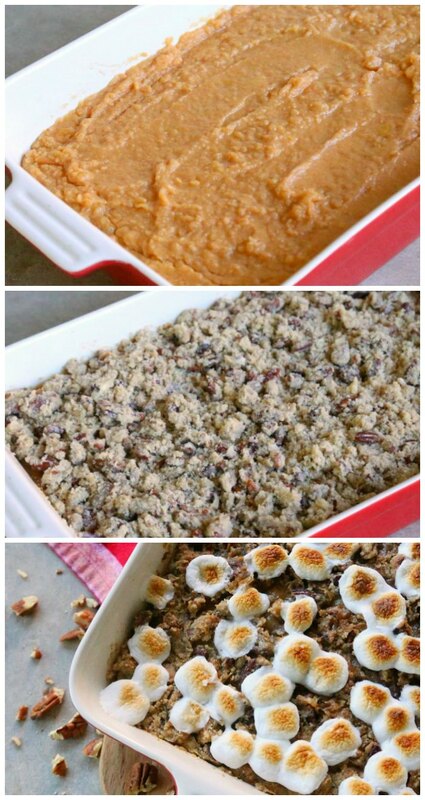 Though the turkey gets a lot of Thanksgiving attention, you can’t forget about the side dishes! One of those famous, popular sides at Thanksgiving and Christmas is often yams/sweet potatoes. My grandpas both LOVED any sort of candied yams or sweet potato casserole dish. It was always a staple at those holiday meals. 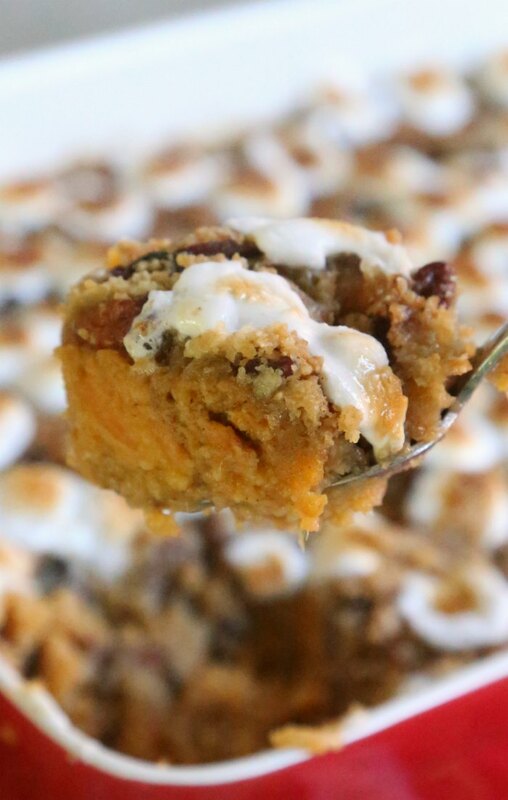 Over the years, my mom and grandmas made many different versions, but this candied sweet potato casserole recipe is a BIG favorite!! 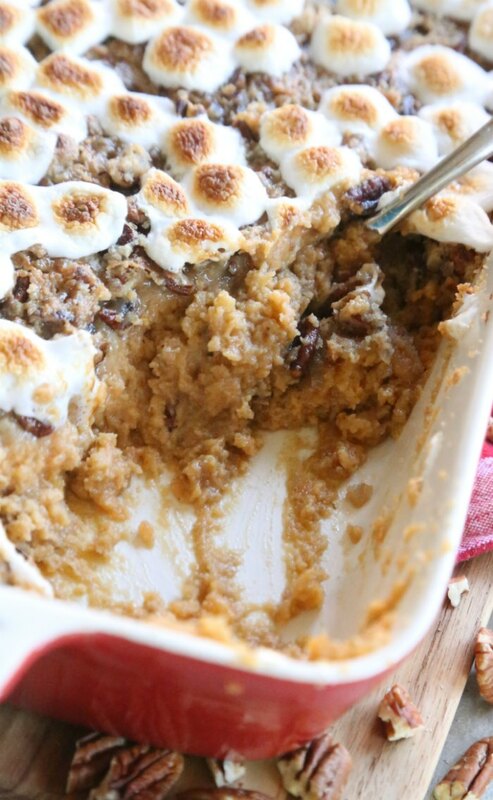 Feed a crowd with this tasty candied sweet potato casserole! Preheat oven to 350 degrees. Spray large casserole dish with cooking spray. In a large mixing bowl, combine the casserole mixture ingredients. Mash and mix well to desired consistency. Pour contents into baking dish. In a medium bowl, combine the topping ingredients (save out marshmallows). Mix together until it resembles coarse crumbs. Layer over top of the potato mixture. 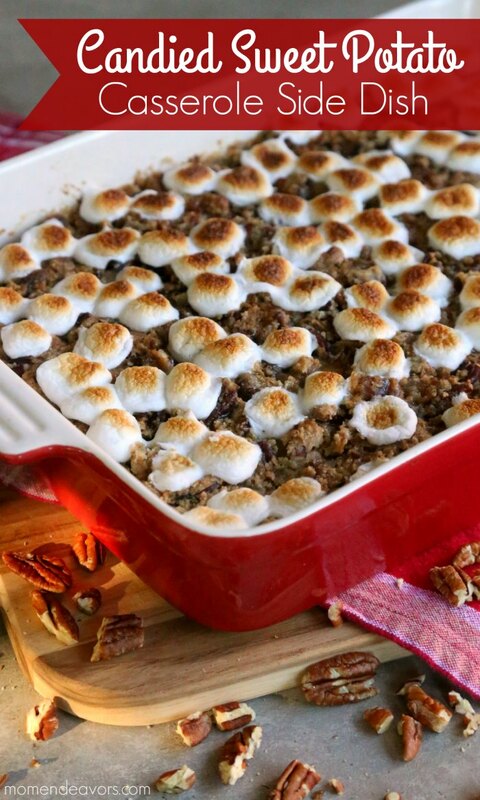 If desired, top with marshmallows and return it to the oven on broil. Watch VERY carefully (only about 1 minute) and remove immediately as marshmallows start to brown. Super tasty! Hope you enjoy for your family festivities! Remember, be sure to check out Family Dollar’s Weekly Deals and use Smart Coupons to save on your holiday meals! Um, this might be one of the coolest things I’ve ever seen. potato always my favorite.